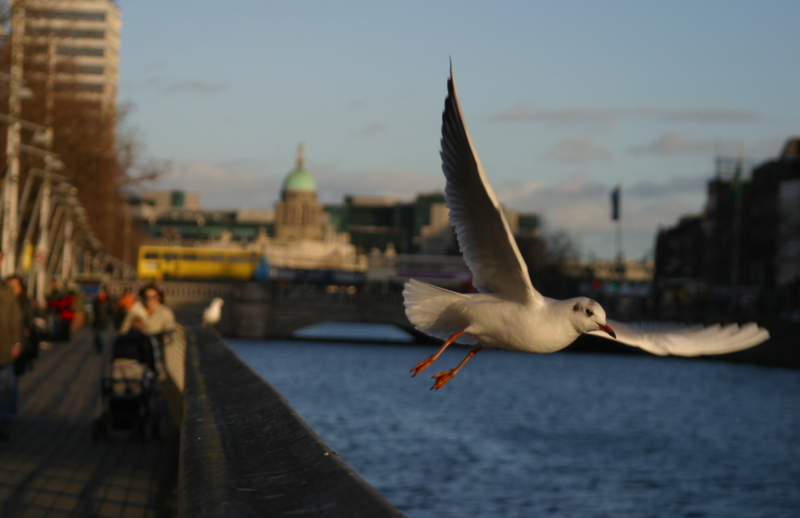 Dublin is a modern, lively city with a rich history. From a pint of the black stuff at the Guinness Storehouse, discovering Ireland’s literary heroes at the Dublin Writers Museum or watching a game of hurling at Croke Park, Dublin has something for everyone. Dublin is the capital and largest city of Ireland. 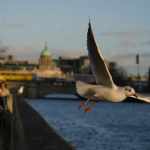 Located in the province of Leinster on Ireland’s east coast, Dublin sits at the mouth of the River Liffey and has a growing population of 1.3 million. 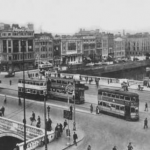 Dublin has a long and turbulent history. The Irish government recognised 988 AD as the year in which the city was settled following a Viking invasion, though there is evidence of human habitation in the Dublin Bay area since prehistoric times. Dublin remained largely under Viking control until the Norman invasion of Ireland in 1169. King Henry II of England reaffirmed his sovereignty by mounting a larger invasion in 1171 and pronounced himself Lord of Ireland. Dublin Castle, which became the centre of Norman power in Ireland, was founded in 1204 as a major defensive work on the orders of King John of England. Dublin prospered as a trade centre, despite an attempt by King Robert I of Scotland to capture the city in 1317. In 1348, the Black Death took hold in Dublin and killed thousands. The Tudor conquest of Ireland in the 16th century saw Dublin as the centre of administrative rule in Ireland. Determined to make Dublin a Protestant city, Queen Elizabeth I of England established Trinity College in 1592 as a solely Protestant university and ordered that the Catholic cathedrals be converted to Protestant. The plague of 1649–51 wiped out almost half of the city’s inhabitants, but the city prospered again as a result of wool and linen trade with England. Dublin continued to prosper during the 18th century and the majority of Dublin’s most notable architecture dates from this period. 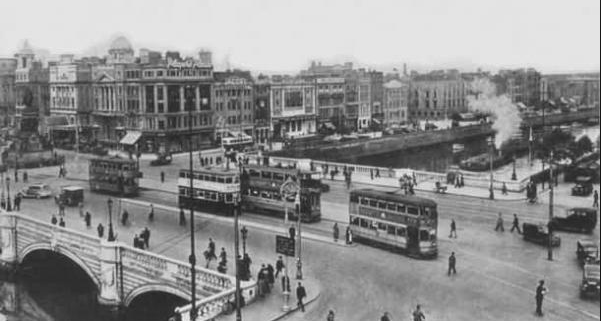 Dublin suffered a period of political and economic decline during the 19th century following the Act of Union of 1800, when government was transferred to London. The Easter Rising of 1916, the Irish War of Independence and the subsequent Irish Civil War resulted in significant levels of physical destruction in central Dublin. The Government of the Irish Free State rebuilt the city centre and located the new parliament in Leinster House. 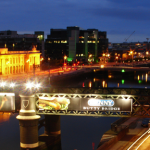 Since 1997, Dublin was at the forefront of Ireland’s rapid economic expansion during the Celtic Tiger period, with enormous private sector and state development of housing, transport and business. There are many places of interest in Dublin. Landmarks and monuments date back through the city’s history. One of the oldest places is Dublin Castle and one of the newest monuments, near the historic General Post Office, is the Spire of Dublin that stands over one-hundred metres tall that appears to merge into the sky at dusk. Other popular places to visit include Mansion House, the Anna Livia monument, the Molly Malone statue, Christ Church Cathedral, St Patrick’s Cathedral, Saint Francis Xavier Church, The Custom House and Áras an Uachtaráin. The Ha’penny Bridge over the River Liffey is considered to be one of Dublin’s most iconic landmarks along with the Poolbeg Towers. In 2010, Dublin was named as a UNESCO City of Literature. Many people visit Trinity College, Dublin to see the Book of Kells, an illustrated manuscript created by Irish monks around 800 AD. The Abbey Theatre also promotes Irish writers. Public art galleries are found across the city, including the Irish Museum of Modern Art, the National Gallery and the Project Arts Centre. In recent years Dublin has become host to a thriving contemporary art scene. Dublin has numerous shopping districts, particularly around Grafton Street and Henry Street. Moore Street remains one of the city’s oldest trading districts. Meath Street markets have changed little over the years. Take a break for lunch at St. Stephen’s Green like the locals do or at any of the other large parks in the city. Located in the heart of the Guinness Brewery at St James’s Gate, the Storehouse is a must-see for any visitor who wants to know the history of the black stuff. You can also tour the Old Jameson Distillery across the Liffey in Smithfield. Dublin’s historic and sporting cultural heritage can be experienced at Croke Park, an 80,000 capacity stadium that houses the Gaelic Athletic Association Museum. If you can, source a match ticket during the summer championships to witness the unique Irish passion for hurling or Gaelic football. 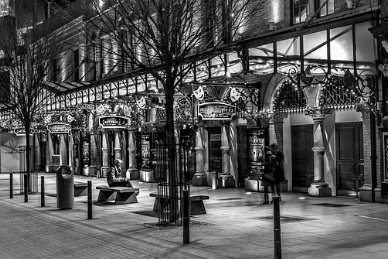 Dublin has a young, vibrant night-life. 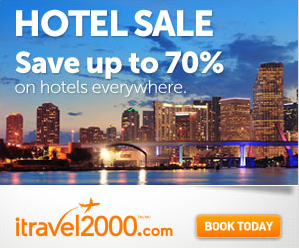 The best known area is Temple Bar, south of the River Liffey. 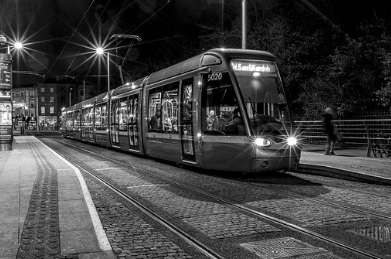 The area has become popular among tourists, though locals prefer Leeson Street, Harcourt Street, South William Street and Camden/George’s Street. If you want something to eat, indulge in a Boxty, a filled potato pancake or fine dine at one of Dublin’s five Michelin star restaurants. Authentic traditional Irish music is everywhere or view national film-making talent at the Irish Film Institute in Temple Bar, where at least one Irish film is showcased every month.